In what appears to be the most surprising library development in several decades, Falvey Memorial Library has acquired a red Solo cup thought to have belonged to country singer and rabble-rousing scoundrel Toby Keith. The cup was found in a closet in Sullivan Hall, and library authorities have reason to believe it may be the very cup featured in Keith’s hit song “Red Solo Cup.” Keith attended Villanova University during the 1979-1980 academic year, and has since been granted an honorary degree from the University. “If we’re right about this cup, then it’s an object that bears an important connection to Villanova’s history,” says Michael Foot, Falvey’s Special Collections librarian. 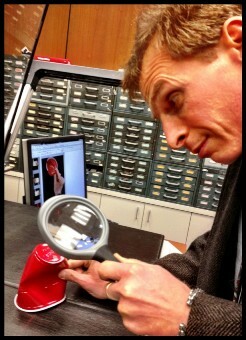 Since the cup’s discovery a few weeks ago, it’s been Foot’s task to date the piece and to verify claims that it may have belonged to Mr. Keith. After employing an array of archival techniques including finger printing, saliva sampling and DNA forensics, Foot seems convinced that this is the very cup of country music legend. The cup was discovered after members of the University grounds crew had been called to Sullivan to deal with a routine bat infestation. Searching through one of the vacant dorm closets for a broom, they found instead an old box which included objects from Mr. Keith’s past. Beneath empty cans of dip, camouflage hats, broken bowling trophies and delicately phrased love letters, the crew found the mother lode itself: a single crumpled cup. If Foot’s investigation proves successful, Library Director Teddy Fuller has agreed to name the new wing of the Library after Keith. “At this point, it’s so much more than a cup,” says Fuller. “I mean, country fan or not, this is an object of tremendous cultural value nationwide. To think that when Keith penned the line ‘you are the best receptacle for barbecues, tailgates, and festivals,’ he could have just as easily included Villanova University Parent’s Weekend Brunch…” Visibly pleased, Fuller looked out the window towards Sullivan Hall. “This is a very exciting time to be a librarian,” he enthused. Corey Waite Arnold is a writer and intern on the Communication and Publications Team. He is currently pursuing an MA in English at Villanova University. Mr. Foot is my hero! I can’t wait to see the cup that Toby Keith drank from right here on our hallowed ground! Would love to see the “love letters” too! Ok- that is pretty funny. 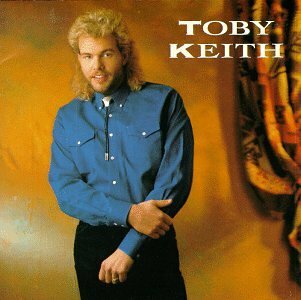 Toby Keith did NOT write one word of Red Solo Cup. Four other people did, two sets of brothers, they gave it to him to record.